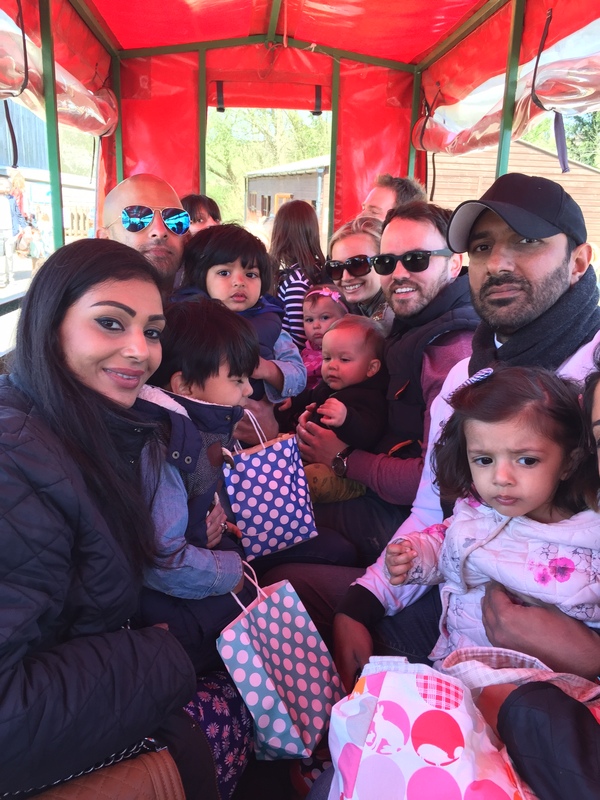 We were excited when the invitation came through for a visit to Godstone Farm with notonthehighstreet. 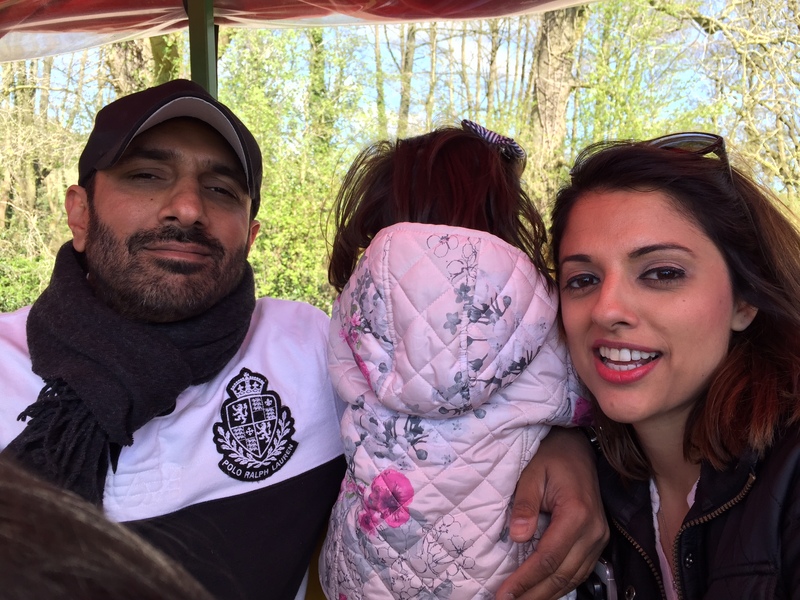 They were launching a new farmyard theme for their storytelling app. We rallied the little ones and the big ones and drove to Surrey. 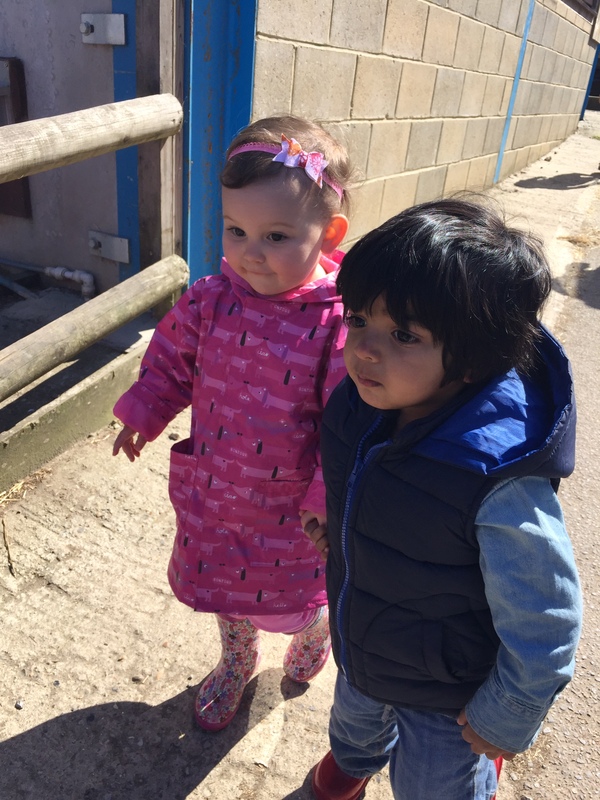 First we were treated to a story that used the farmyard noises. We can’t wait to try this at home and make up our own stories. The story is dreamt up by you and the app has farm noises which can be activated by pressing on the picture. We met up with our friends that you may have heard of the Sacconejolys. Gathered the tribe of children and had a glorious picnic on the green. Some more storytelling and then off to the farm to see all the animals. The little ones loved pointing out the sheep and making the right sound to match. 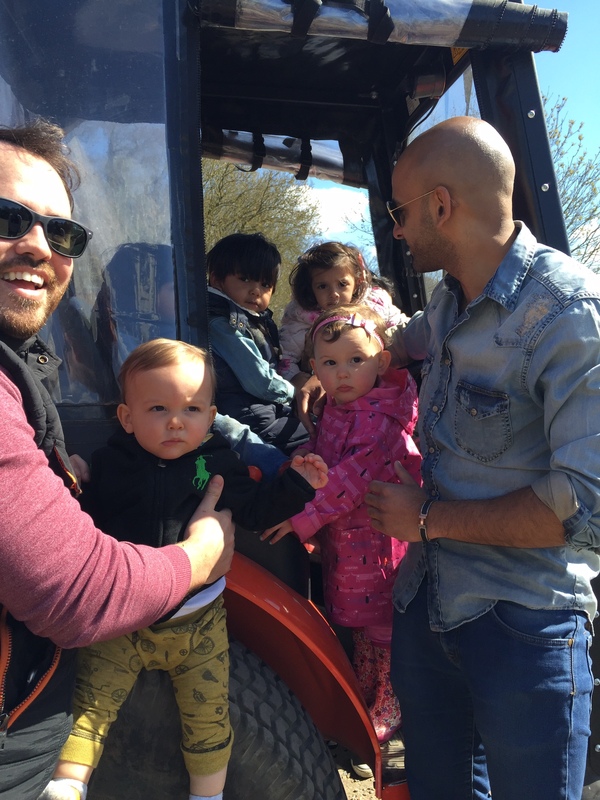 Then we had a group tractor ride! Round and round we went. 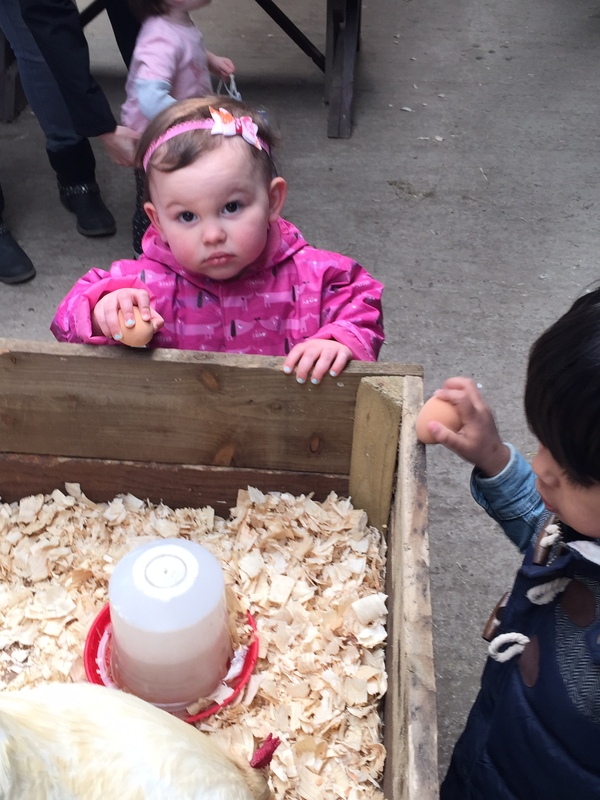 After this we were taken to a place where the little ones could pet the hens and baby chicks. 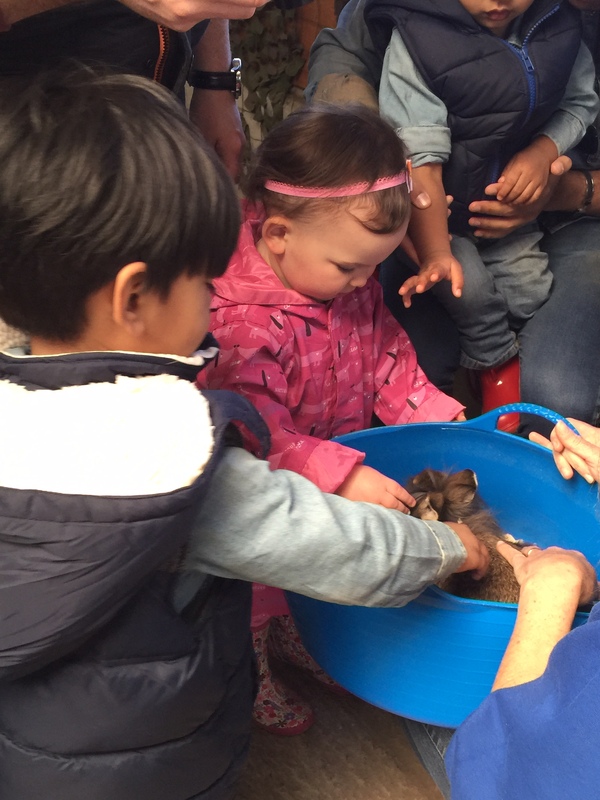 A fluffy rabbit was enjoying all the attention. 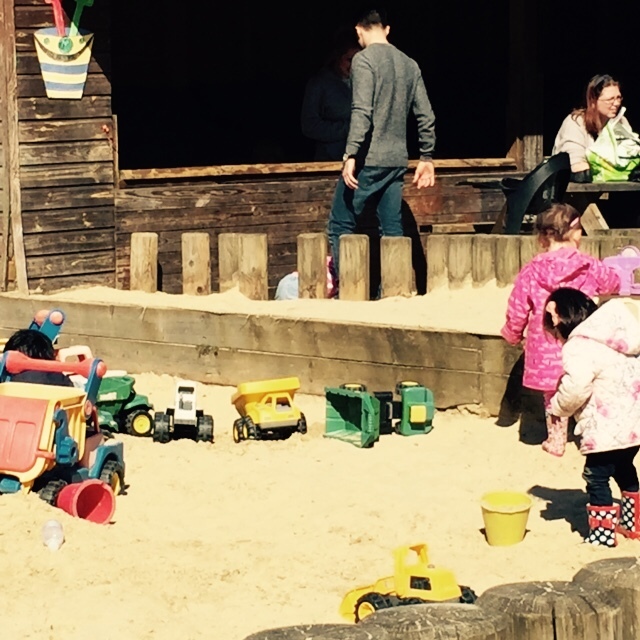 The day ended in a huge sandpit where the little ones tired themselves out (all mummy and daddies too). Alas it all had to come to an end. We had an amazing day and want to thank notonthehighstreet for inviting us. To see a video of the day and many others of the wonderful and cute sacconejoly family click here. To get the app click here. 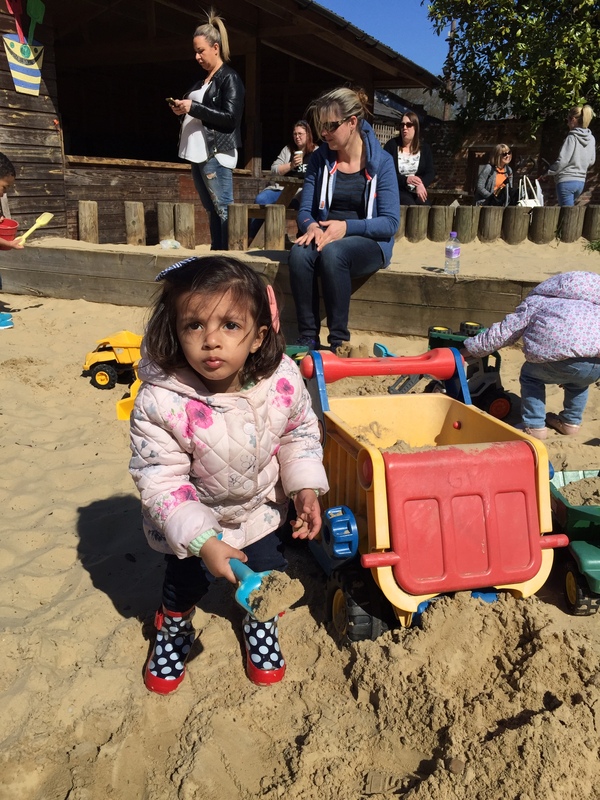 For more information on the Godstone Farm click here.